You'll be prepared for many potential equipment problems and maintenance tasks with the Scuba Dive Tool from Innovative Scuba Concepts. 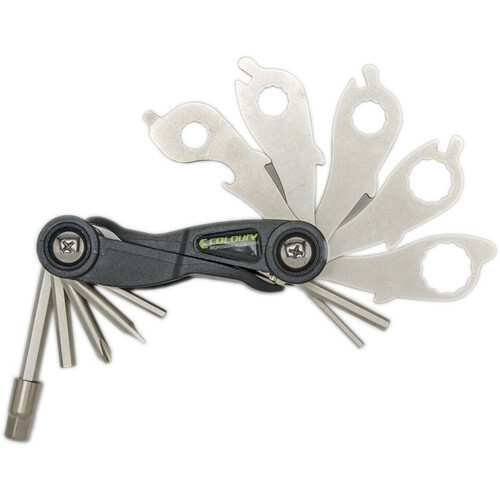 This multi-tool includes implements commonly needed in scuba diving, including box wrenches, hex wrenches and screwdrivers. It swivels in the center for positional flexibility. Box Dimensions (LxWxH) 7.75 x 3.5 x 1.75"